For us, fishing is a way of life. We employ guides that know the waters and are true fishermen. When they aren’t working, they are usually out fishing for fun. 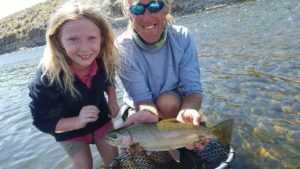 Owning Reel Deal Anglers JH, Inc., in Jackson Hole is a dream come true for Rhett. He has been freshwater trout guiding for twenty four years in the Rocky Mountains. He enjoys sharing his passion and knowledge of fishing and the outdoors with all of his clients. His enthusiasm, spirit and expertise are contagious. After spending a day on the river with Rhett, you will realize why his clients return year after year. 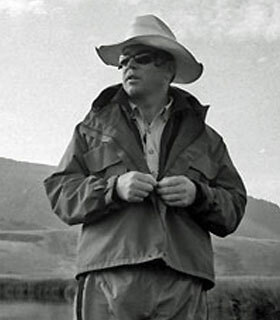 Brian is a second generation fly fisherman, raised in Jackson with over 20 years experience as a guide and Outfitter. He has had several articles written about him regarding his knowledge and passion for the sport of fly fishing. When he is not guiding, you can find him at the Rodeo watching his two daughters barrel race. He has the patience of Jobe when teaching the art of fly fishing to anyone and everyone, no matter what the age or skill set. Tristan grew up chasing bass, catfish, and bluegill in the warm water fisheries of Kansas. After graduating from Wichita State University and a brief stint in retail banking, he realized the confines of an office were not for him. He moved to the Tetons to follow his passion for fishing and being outdoors. Guiding and living in Wyoming has been an incredible experience that Tristan loves sharing with clients. Davis grew up in the Blue Ridge Mountains of Virginia chasing native brook trout in the mountain streams. 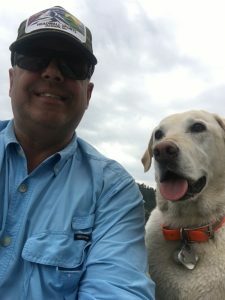 The past 7 years, he has been guiding the diverse fishery of Virginia for wild rainbow and brown trout, native brook trout, smallmouth bass, striped bass and muskie. He spent a season cooking and guiding in the Bristol Bay region of Alaska; mainly on the Copper and Gibraltar Rivers for the abundant leopard rainbow trout and salmon. His passion for the outdoors and floating rivers is infectious, he brings his positive energy to the boat every day he is on the water guiding. Chauncey Goodrich is a 5th generation Wyomingite who has been fishing since he was in diapers on his dads shoulders. He has fished every corner of Sublette county and all over the state of Wyoming. His knowledge and love of the area keeps him coming back each year. Specializing in the New Fork and Green River has landed him the “Best of the Best in Sublette County”’ award. My name is Austin Ballard, I’m 22 years old and fishing has been my passion for as long as i can remember. I was born and raised in Virginia but have spent every summer for the last 14 years fishing all around Wyoming, spending lots of time on the Green River. At eight years old my father took me on my first trip to Wyoming. Our first stop being the Green River and I immediately got hooked. Throwing dries to rising trout instead of smallmouth was like a whole new sport to me, and I just couldn’t get enough. Originally from Upstate New York, Josh moved to Jackson 8 years ago. Josh works at 3 Creek Ranch and in his free time guides on the Snake, Green, and New Fork Rivers. He has a true passion for fishing. He is a great teacher and motivator and looks forward to passing along his experience and love of fly fishing. When not guiding, you’ll find Josh on the water, often with his wife Jenny, and two dogs, Timber and Scruggs. Josh’s other interests include music, hunting, snowboarding and travel. My name is Josh Riddle and I’m 38 years old. I grew up in Northwest Michigan. I have been guiding anglers for 16 years on the flats of Lake Michigan for carp and small mouth and the rivers for trout, king salmon and steelhead. I started fishing out West 10 years ago and have been returning every summer for the day and night time fishing opportunities. My name is Scott Lynch and I love to fish. I’ve been fly fishing since I retired from the Army after 22 years of service in 2010. I love to travel and have visited a numerous counties in the Middle East, Europe, and South America. Israel is my favorite. During the fall, winter, and spring months, I am an Army JROTC Instructor at a Denver High School. Working with Rhett and Reel Deal Anglers has been a dream come true; Wyoming is a special place. David has lived and worked in Jackson since the 80’s. He started guiding for the Allen brothers while he was in College. He thoroughly enjoys guiding because of the great people he has had the opportunity to meet. He is married with two children. He enjoys hunting birds with his dogs and big game in the Fall and Winter months. David has also spent many years backcountry riding in the many wilderness areas surrounding Jackson.